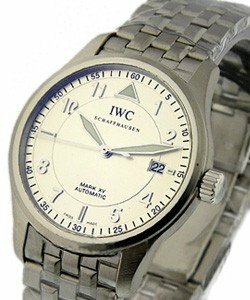 This watch is also known as: IW3253-01 , IW325301 , 3253.001 . 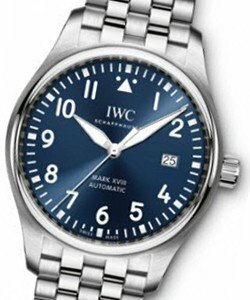 The classic IWC Mark XV Model #325301 (IW3253-01) is housed in 38-mm brushed stainless steel case and sapphire crystal. 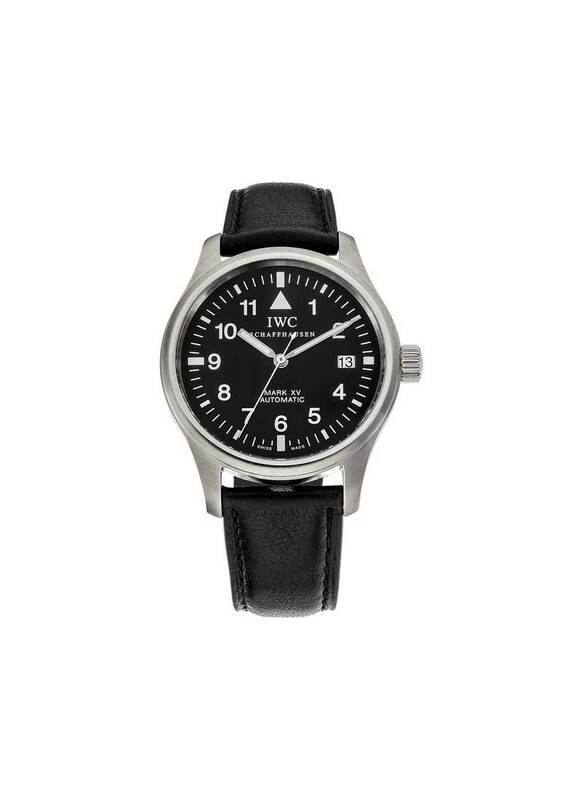 This automatic men's watch also features black dial with luminous Arabic numeral markers and hands, centered sweep seconds and date display at 3 o'clock position. 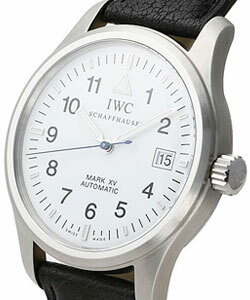 A black leather strap with a brushed stainless steel deployant buckle completes the look of IWC Mark XV 325301. 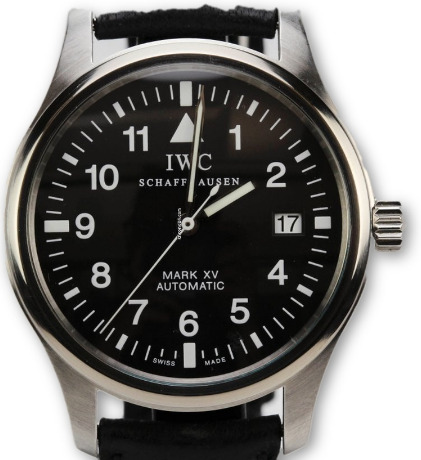 Its screw-down crown ensures water resistant to 60 meters (220 feet) which makes it suitable for showering or swimming in shallow water.